The Orion Star™ A111 pH Benchtop Meter is the accurate and easy-to-use instrument for taking simple pH measurements. 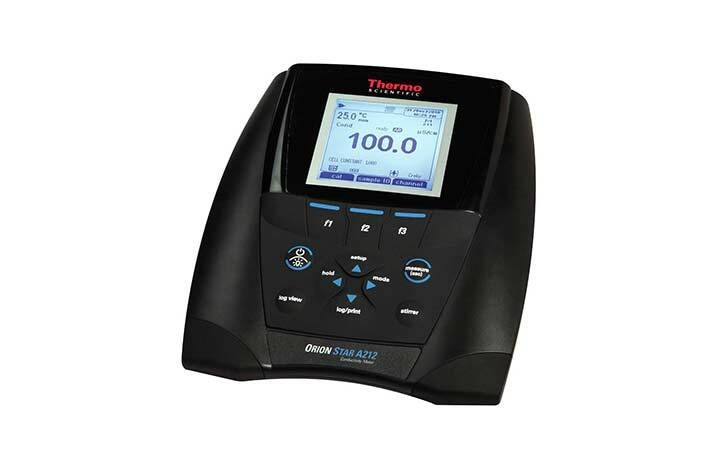 The Orion Star™ A112 Conductivity Benchtop Meter is the easy to use Conductivity meter featuring easy to use layout for all simple conductivity measurements. 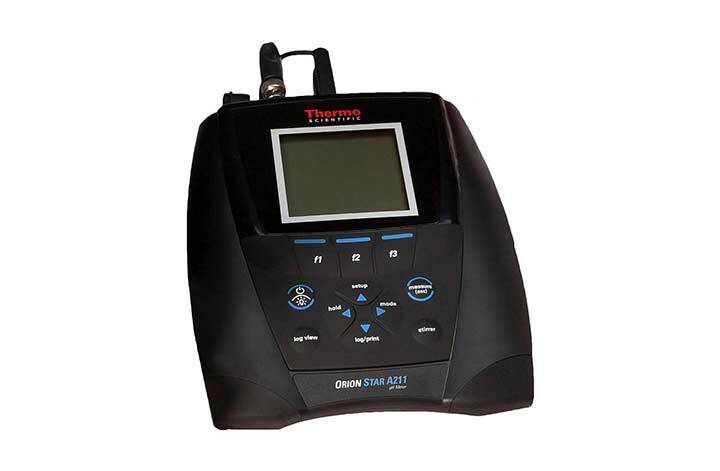 The Orion Star™ A113 Dissolved Oxygen Meter is the simple yet accurate choice for taking DO measurements, it is the easy to use and affordable option. 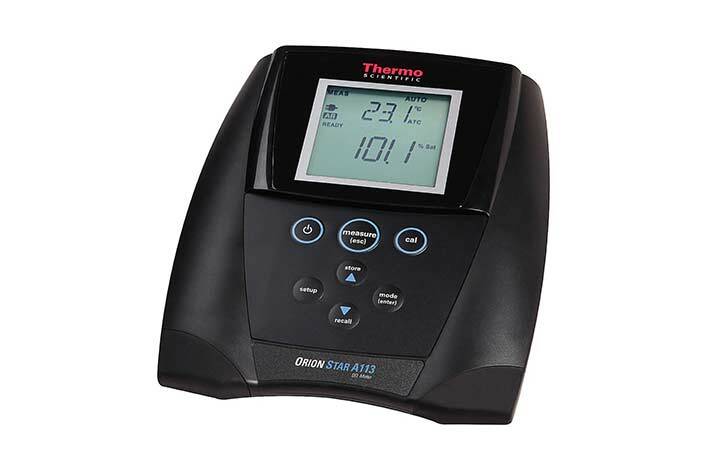 The Thermo Scientific™ Orion Star™ A221 pH Benchtop Meter measures pH, mV and temperature, durability and dependability is assured with this easy to use meter and is suitable for use both in the lab and field. 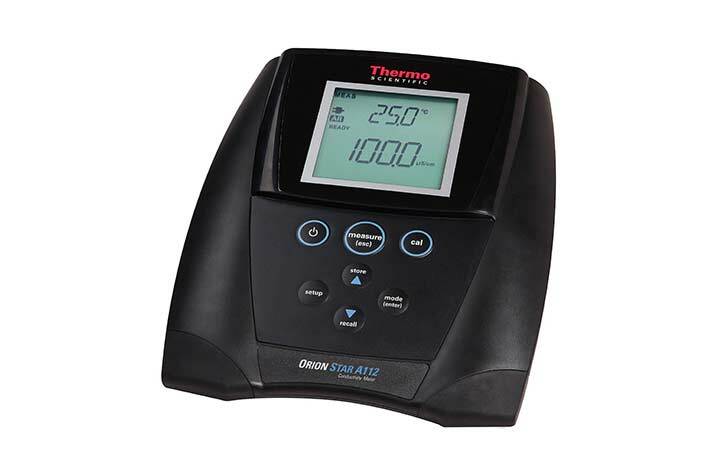 If you need to gather information quickly and easily the Thermo Scientific™ Orion Star™ A212 Conductivity Benchtop Meter is the perfect option. Renowned for its durability and dependability it is ideal for every sample, every day. Thermo Scientific's Orion Star™ A213 Dissolved Oxygen Benchtop Meter is the ideal dissolved oxygen meter if you need to gather information quickly and easily. Housed in an IP54 rated housing the user can be assured of ultimate durability and dependability. Gather information quickly and easily during any lab or application using the Thermo Scientific™ Orion Star™ A214 pH/ISE Benchtop Meter. 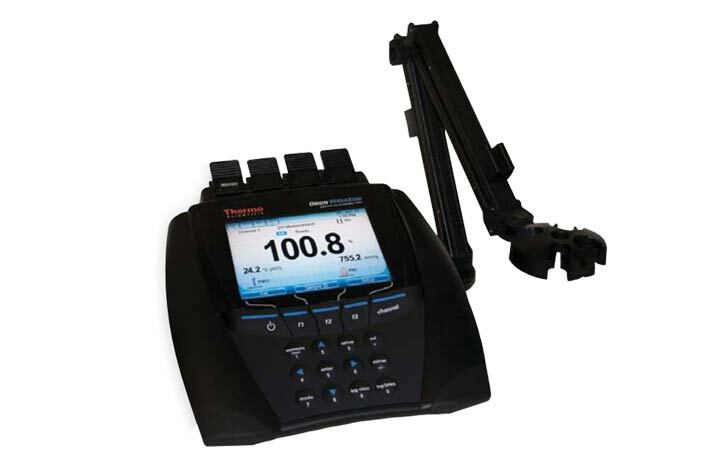 This meter is known for its durability and dependability making it the perfect solution for every sample, every day. 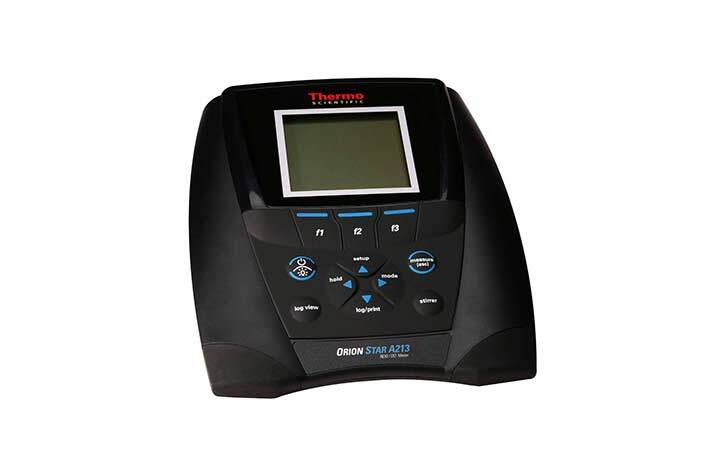 The Thermo Scientific™ Orion Star A215 pH/Conductivity Benchtop Multiparameter Meter is the perfect instrument offering outstanding durability and dependability. It is ideal to use in a wide range of applications in any lab. 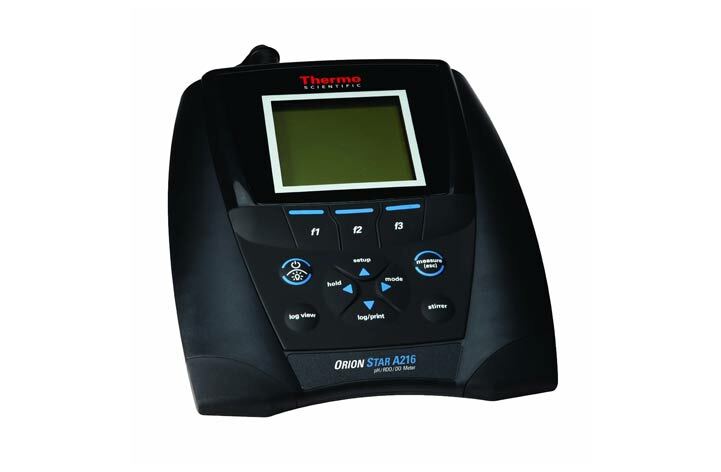 The Thermo Scientific™ Orion Star™ A216 pH/dissolved Oxygen Benchtop Multiparameter Meter is known for its durable and dependability making it perfect to use for every sample, every day. Using the Orion™ VERSA STAR™ Benchtop Meter Without Modules enables the user to select from five modules to customize four channels of this superb piece of equipment.